Did you love the Prospect Hill 4 hour or what?! Keen for some trails closer to the city that are perhaps more familiar?! 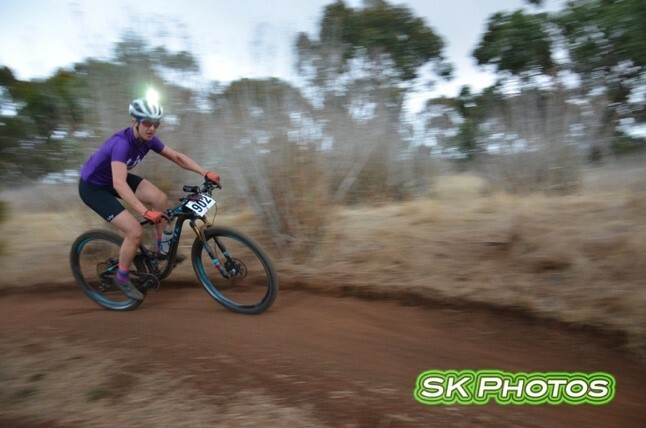 Join us on Sunday the 26th of May for the final round of the AMBC 4 Hour Enduro Series , brought to you by Azur lights, Bryton GPS, Krush bikewash, SuperB tools, Hammer Nutrition, Schwalbe tyres, Squirt lube, IO Merino, Bridge Road Brewers, Mitre10 Barrow and Bench, Govita and BMCR cycles. 1:00 PM Course closed- No riders allowed to continue racing, unless already on course. The course will use trails only in the Craigburn Farm trail network. The course map will be posted as soon as possible on the event page. This is approximately 10km long and about 35 minutes for elite riders. Times may vary significantly due to track conditions. If you have any questions, feel free to email 2019committee@ambc.asn.au for more information! As we gear up for a big winter, there is no better way to kick it off than to spend 4 hours on the flowing trails of Prospect Hill. Join us on Sunday the 14th of April for the first round of the AMBC 4 Hour Enduro Series, brought to you by Azur lights, Bryton GPS, Krush bikewash, SuperB tools, Hammer Nutrition, Schwalbe tyres, Squirt lube, IO Merino, Bridge Road Brewers, Mitre10 Barrow and Bench, Govita and BMCR cycles. Meet at trail carpark at 10am. Depending on how many people can make it out will depend on how much we get done. Plan is to spend no more than 2-3 hours with a course recce ride afterwards. 1:00 PM No new laps to start. Laps completed after cut off will count toward results. Presentations – we need all hands on deck to pack down and start our presso’s straight away. The more you help – the quicker this happens and the quicker we can all get home! The course will be using a variation of the enduro loop that we’ve used in past races, aiming to use any newly built trails if possible. This course will be approximately 10km long and about 35 minutes for elite riders. Times may vary significantly due to track conditions. More info will be available closer to the date, including a gpx file and course map! Parking will be directed on race day. Please follow our lovely volunteers and committee members. Thanks Tim Loft for the photos!